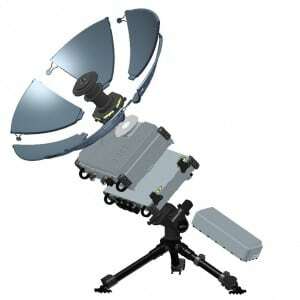 [Via Satellite 07-09-2014] Hughes Network Systems and Tampa Microwave have agreed to embed Hughes-built HX-based modems into Tampa Microwave’s ManPack family of small tactical satellite terminals. The agreement enables both companies to reach a larger customer base through an international reseller agreement. Hughes HX technology is compliant with the Wideband Global System (WGS) and Federal Information Processing Standards (FIPS). The terminals range from 45-cm to 1.3-meters, and enable X-, Ku- and Ka-band communications in both star and mesh type networks. The terminals can be transported, set up and operated by one person, and feature auto-assist pointing for rapid set up and satellite acquisition. All ManPack terminals in the Tampa Microwave family are ruggedized and operate without the need for cooling fans.